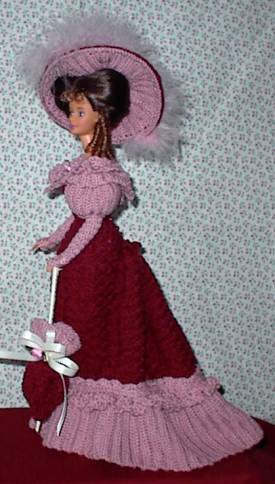 Comes with gown, hat, gloves, parasol, doll and doll stand. This gown is done in burgundy and light mauve. It is gathered at the back giving it a bustle effect.